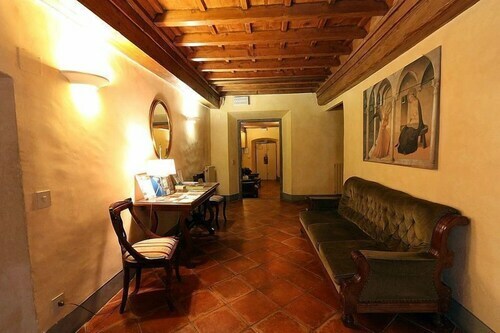 Located in Duomo, this hotel is steps from Badia Fiorentina and Bargello. Piazza del Duomo and Cathedral of Saint Mary of the Flower are also within 5 minutes. Florence Santa Maria Novella Station is 15 minutes by foot and Florence Campo Di Marte Station is 22 minutes. Along with concierge services, this smoke-free hotel has a 24-hour front desk and a library. Buffet breakfast is free. Other amenities include express check-in, express check-out, and tour/ticket assistance. All 9 rooms offer free WiFi, coffee makers, and hair dryers. Other amenities available to guests include safes, desks, and free toiletries. A complimentary breakfast is offered each morning. This business-friendly hotel also offers a library, tour/ticket assistance, and multilingual staff. Bavaria is a smoke-free property. Start your day with a free buffet breakfast, available daily from 8:00 AM to 10:00 AM.